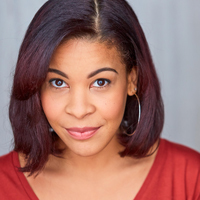 After receiving her degree in Theatre Performance from Bradley University, Angelica has spent her acting career in LA, NYC, and at the Williamstown Theatre Festival in Williamstown, MA. She was most recently seen off-Broadway in the premiere of The Parlour at The Rattlestick Theatre in NYC. Angelica is beyond thrilled to have her Chicago debut in the city where she was born and raised. She is honored and ecstatic to be a part of For Colored Girls Who Have Considered Suicide/ When the Rainbow is Enuf at Court Theatre! She would like to thank her teams at BMT and CTI for their hard work and dedication. She would also like to thank her friends and family for always being ride-or-die!